Its original name has been Amadéfalva, received from its first owner, Amadé. 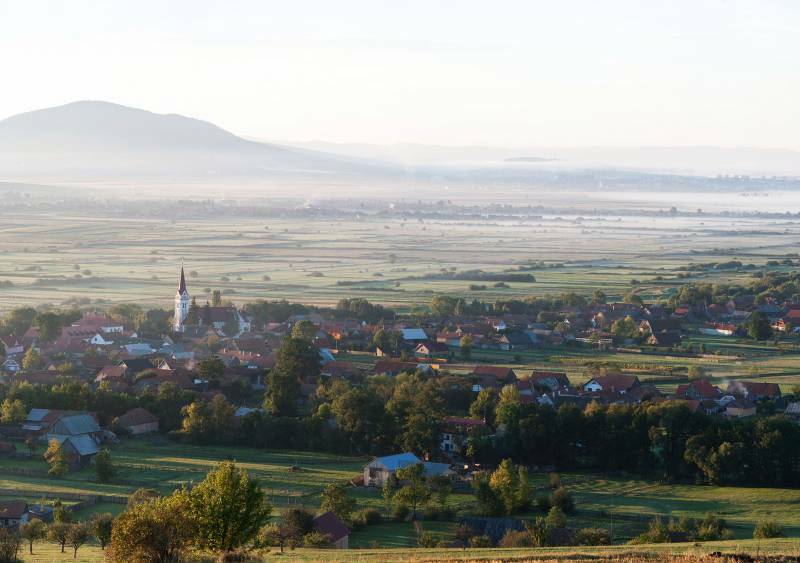 The village is mentioned already in 1333 as being affiliated to the parish of Csíkrákos, as a self-standing commune it figures however only in 1567, still with the name Amadéfalva. In 7th January, 1764 the Austrian imperial army massacred here 200 Szeklers, protesting against the establishment of the frontier defence guard regiment („Massacre of Madéfalva”). Massive emigration started hereafter. in 1910 it had 1908 inhabitants, predominantly Hungarians. Till the Treaty of Trianon it belonged to the Upper Csík precinct of Csík County. The railway brought in the life of Madéfalva considerable changes. The first railway line was inaugurated at 5th of April 1897. The 72 km-long trail led from Sepsiszentgyörgy to Madéfalva. After a half year, at 18th of October, the line Madéfalva - 20Gyímesbükk (42 km) was also inaugurated. Madéfalva has become an important junction, and at the beginning of the 20th century the commune possessed such an important railway centre as now Marosvásárhely. The name of the railroad station of Madéfalva was changed in several times throughout the decades. In the period between the two world wars it figured under the name of Ciceu, respectively Petru Rareº, during the Hungarian reign from 1940- 1944 it has taken back its name, Madéfalva. From 1945 it was recorded under the name Ciceu in official documents. Due to the initiative of the local council, from 22nd of April 2005, again Siculeni - Madéfalva is receiving the travellers.